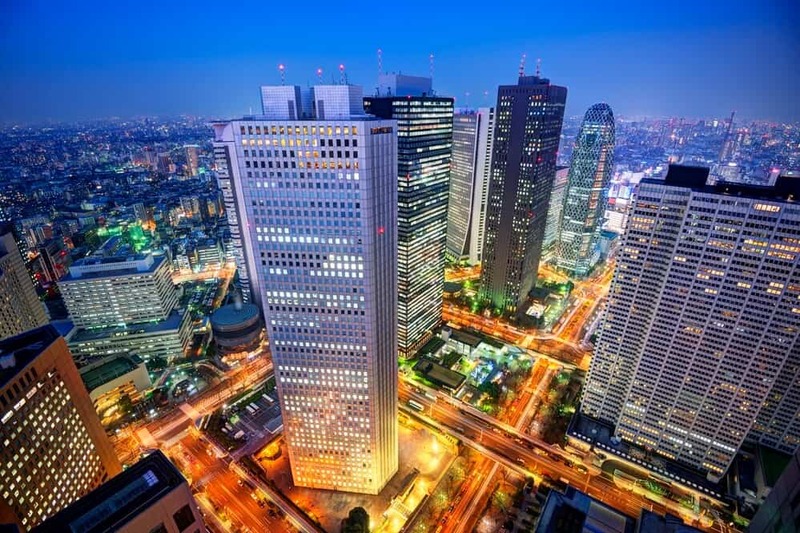 Would you like to view Tokyo from the world’s tallest tower? Then Tokyo Skytree is just what you’re looking for. Or how about seeing 350,000-liter penguin and seal tank? You can if you go to Solamachi. 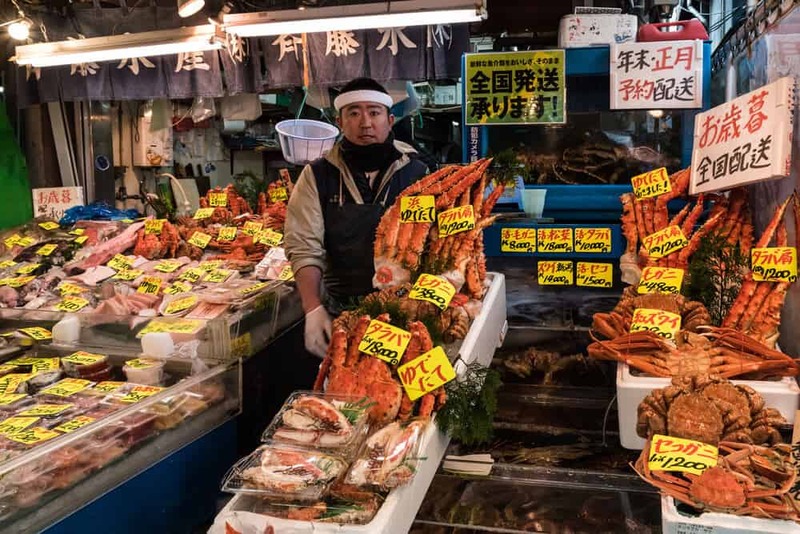 In addition to the aquarium, Solamachi is home to 300 stores, many of them quite quirky, with some of the neatest restaurants in Tokyo. Are Skytree and Solamachi Worth Visiting? Have You Been to Solamachi? The Tokyo Skytree is the main attraction. The Skytree is part of the Solamachi complex. The complex offers a wealth of shopping, entertainment, and dining options. The area around the Skytree is developing as a tourist hub. By the time you visit, there may be even more to do! 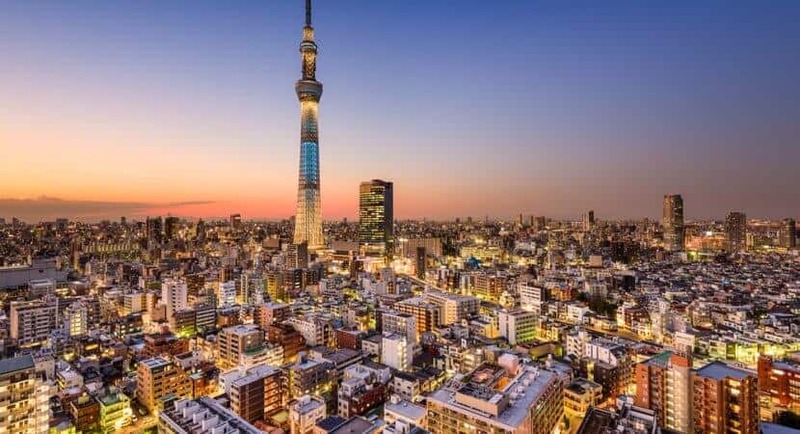 The Tokyo Skytree might be one of the capital’s newer attractions, but it’s rapidly becoming an icon. You’ve never seen a view like this. 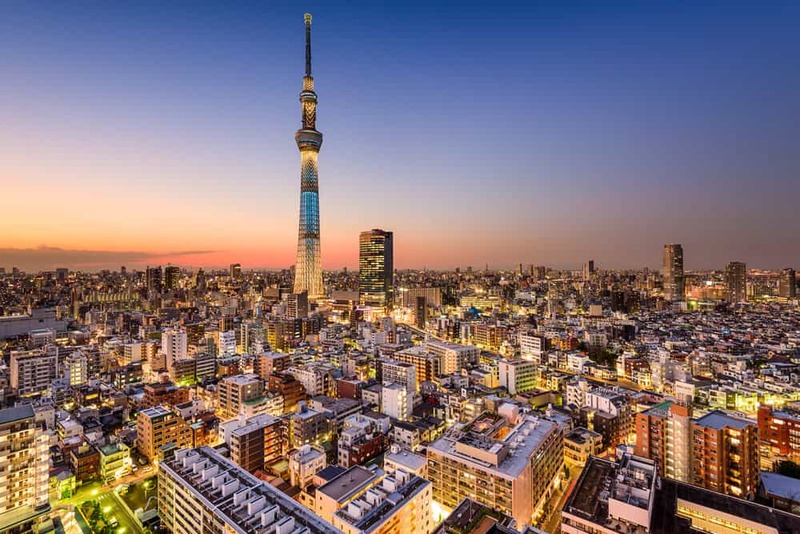 Standing at 634 meters, the Skytree is the world’s tallest tower. It’s the second tallest structure in the world. The Skytree opened in 2012. It replaced Tokyo Tower as Tokyo’s main broadcasting tower and observation deck. 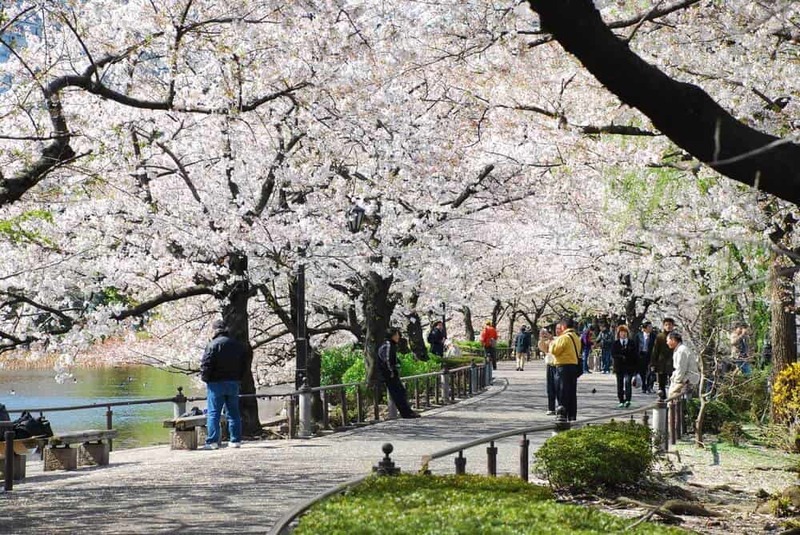 It’s the most popular tourist site in Tokyo. 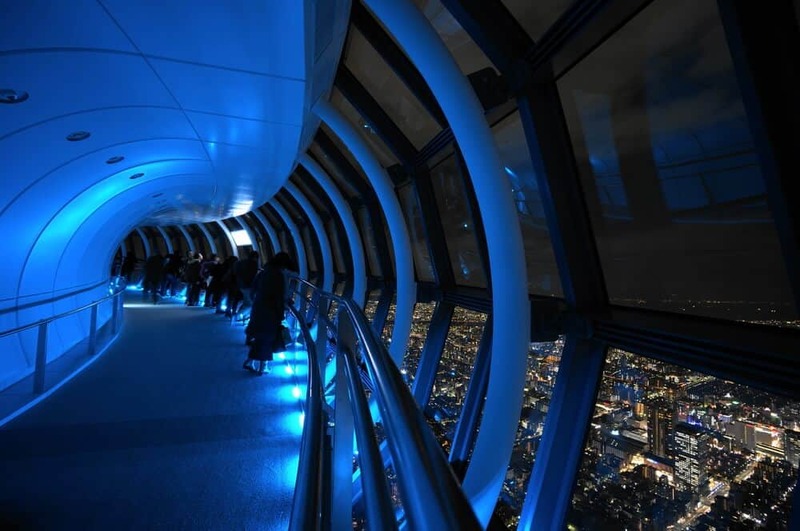 The main attractions are the two observation decks, but the Skytree offers so much more. 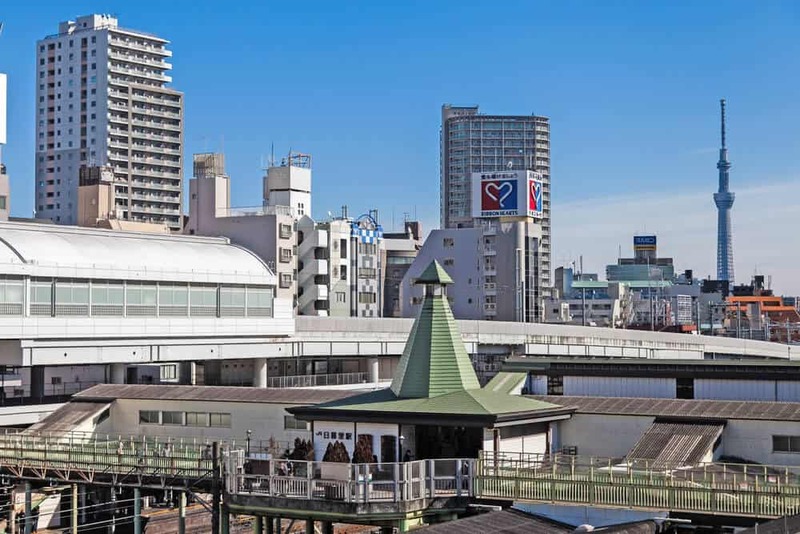 Two platforms offer incredible views across Tokyo and, on a clear day, as far as Mt. Fuji. 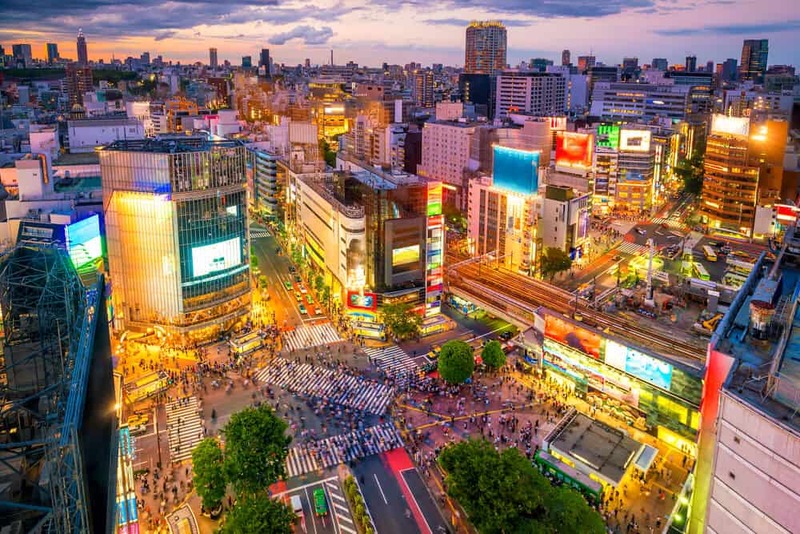 At night, enjoy Tokyo’s lights from above as the city takes on a magical appearance. 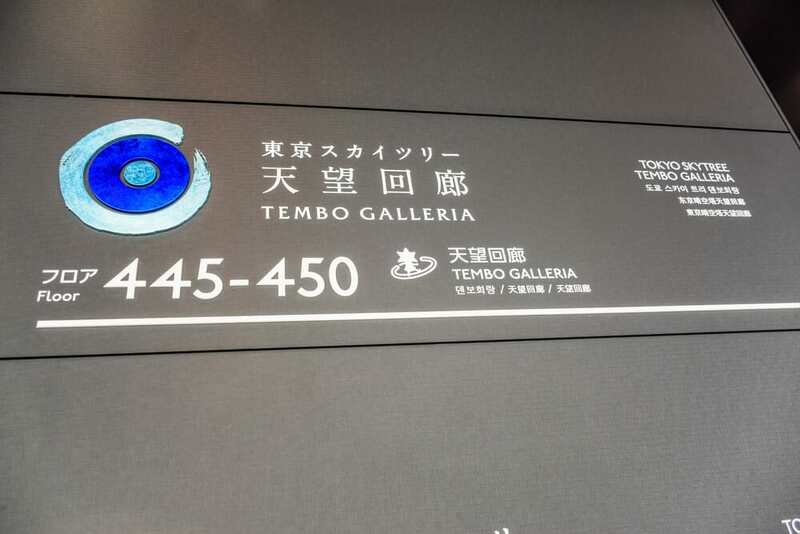 The Tembo Deck is 350 meters high, while the Galleria is 450 meters. Both offer unforgettable views. The Tembo Deck is surrounded by glass five meters high. The deck offers a 360-degree view of Tokyo and its surroundings. Access to the Galleria is through a glass tunnel. The Galleria Deck has a cafe and a restaurant where you can take your time savoring the view. The Skytree is popular; the lines can get quite long. Occasionally tickets sell out. 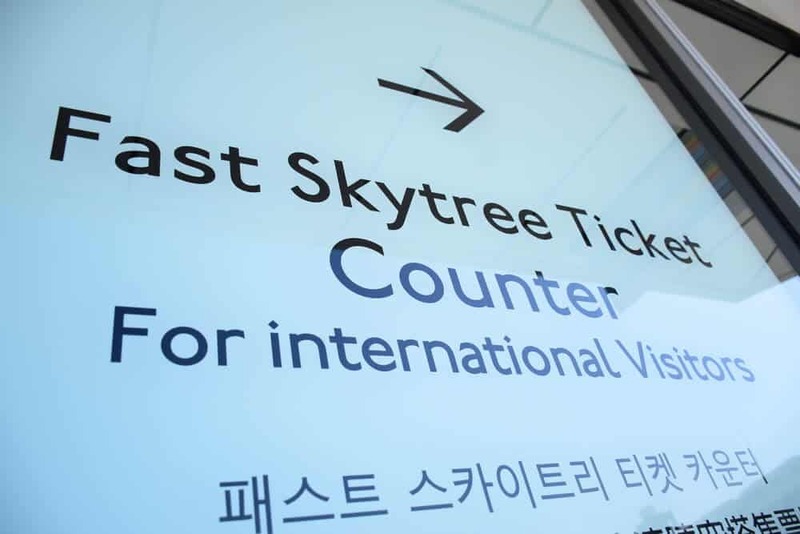 Consider reserving an advance ticket through the Skytree website. It costs more but guarantees your entry at the allotted time. The tickets vary in price depending on what time you go. The Skytree Fast Ticket allows you to skip the lines. You can go directly to the Tembo Deck. 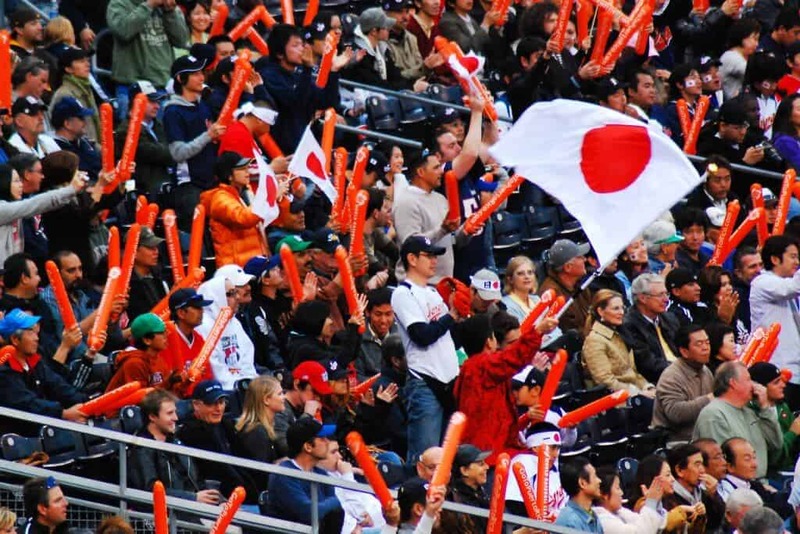 An adult Fast Ticket is 3,000 yen for everyone over twelve (1,500 yen for ages 4-11). 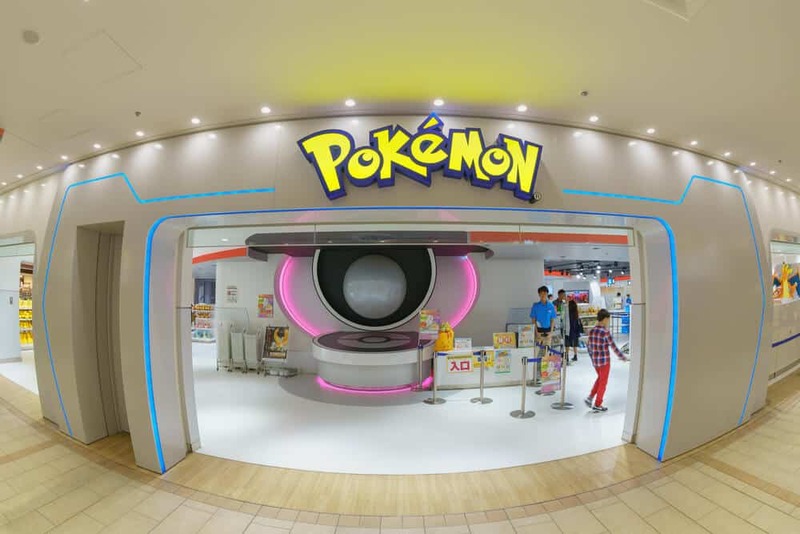 It’s also available as a combination ticket with the Galleria Deck. 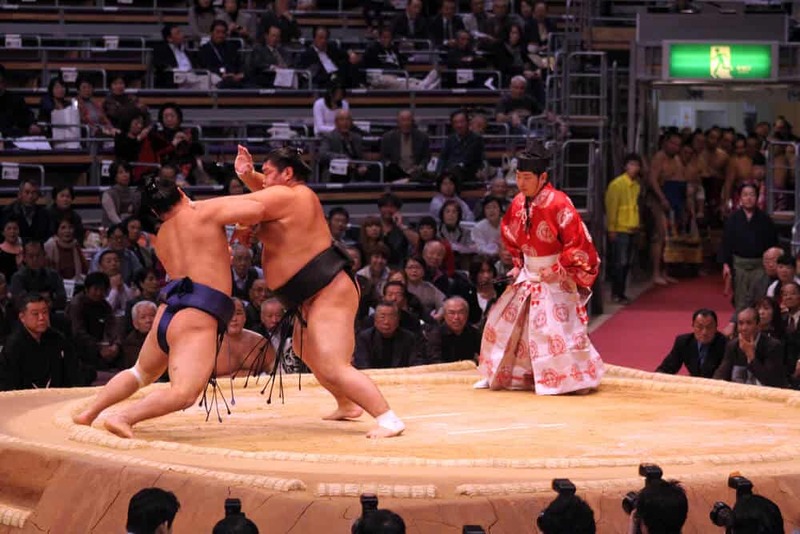 Combination tickets are 4,000 yen for adults, 2,000 yen for kids 4-11. 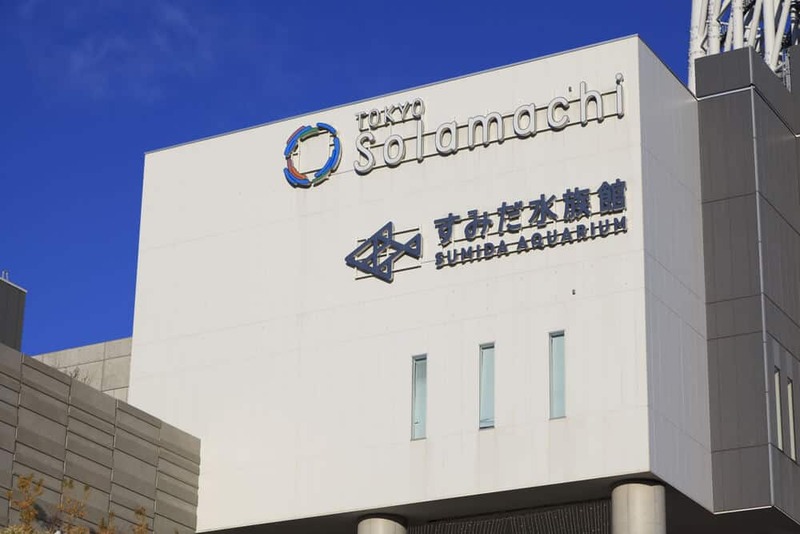 The Sumida Aquarium is within the Solamachi complex at the bottom of the Skytree. The aquarium is a major attraction; over 10,000 sea creatures are on display. The highlight of the aquarium: a 350,000 liter tank with few visible supports. The tank gives an unparalleled view of the seals and penguins that call the tank home. 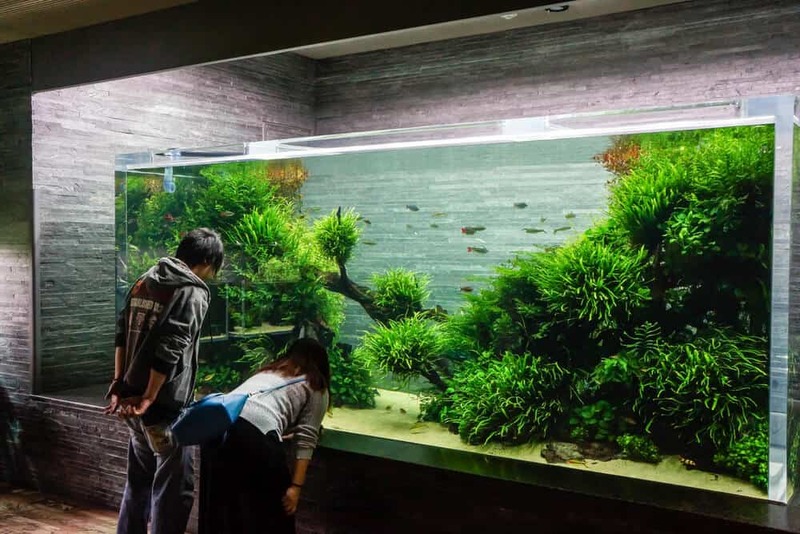 Although indoors, the aquarium uses environmentally friendly LED lights to mimic natural lighting. Visit during the evening, and you’ll find the lights dimmed and the seals and penguins snoozing. The aquarium has many other interesting displays. 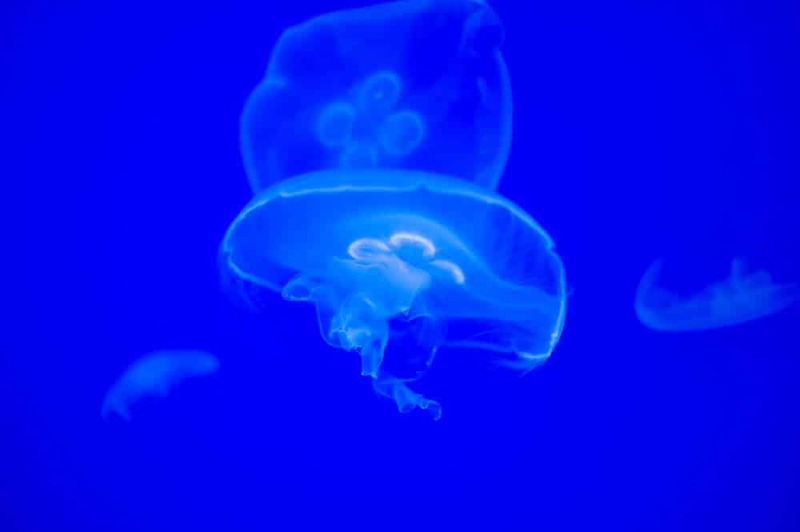 Back-lit tanks showcase the extraordinary beauty of jellyfish. Exhibits re-create the water systems of the Tokyo area, the Izu Islands, and the Ogasawara Islands. The aquarium also houses a research facility and the inevitable gift shop. Students of any age must provide student I.D. The Konica Minolta company manufactures high-tech imaging equipment. They have another planetarium, “Manten,” in Ikebukuro’s Sunshine City. Shows replicating the night sky take place several times during the day at planetarium’s theater. There are shows that also feature aromatherapy scents for a truly relaxing experience. Some people love it, others hate it. But in the summer time, it sure makes a nice and relaxing way to beat the heat outside. The Postal Museum seems like a random addition to the Skytree complex. It’s worth a visit; history lovers will have a blast. 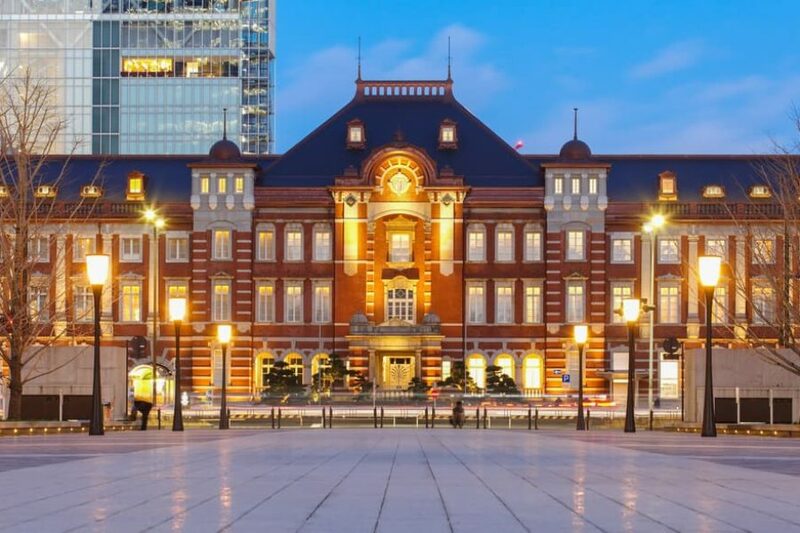 The museum tells the story of Japan’s Postal history. The collections include 330,000 stamps, the largest stamp collection in Japan. 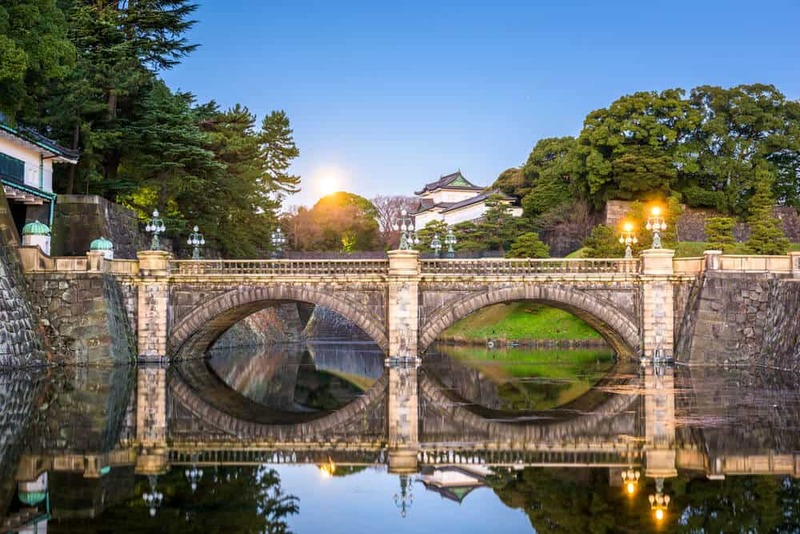 Have you spent any time in Japan? You’ll recognize the distinctive red post boxes and the postmen’s red bikes. The museum is on the ninth floor of Solamachi Skytree Town. 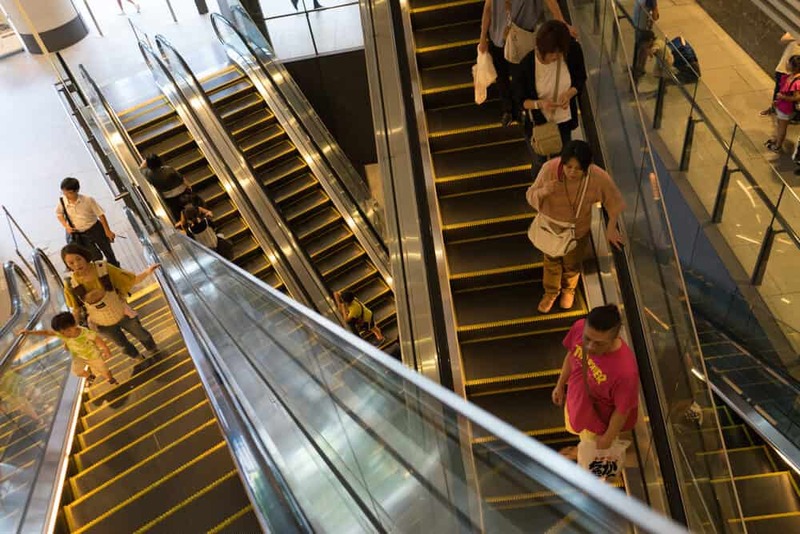 Take the elevator or escalator from Solamachi East Yard No.12 to floor eight. Change to the elevator for Life and Culture (floors eight-ten), and get off on floor nine. There’s a cafe and restaurant on the Tembo floor of the Skytree observation deck. There are multiple restaurants within the Solamachi complex. The restaurants are primarily on floors five, six, thirty and thirty-one. 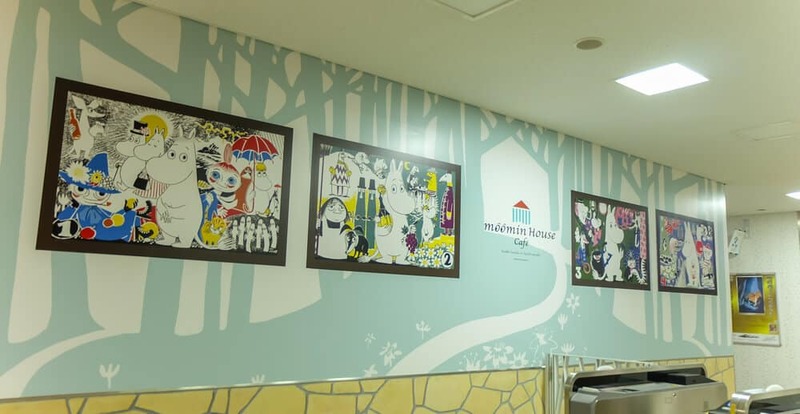 The Moomin House Cafe is the latest addition to Japan’s growing themed cafe phenomenon. The food and decor are inspired by the Finnish book series “The Moomins.” The cafe’s interior has a distinctly European quaintness to it. Moomin toys are dotted around the cafe for guests to play with. The food is standard Japanese style Western food with a Moomin makeover. 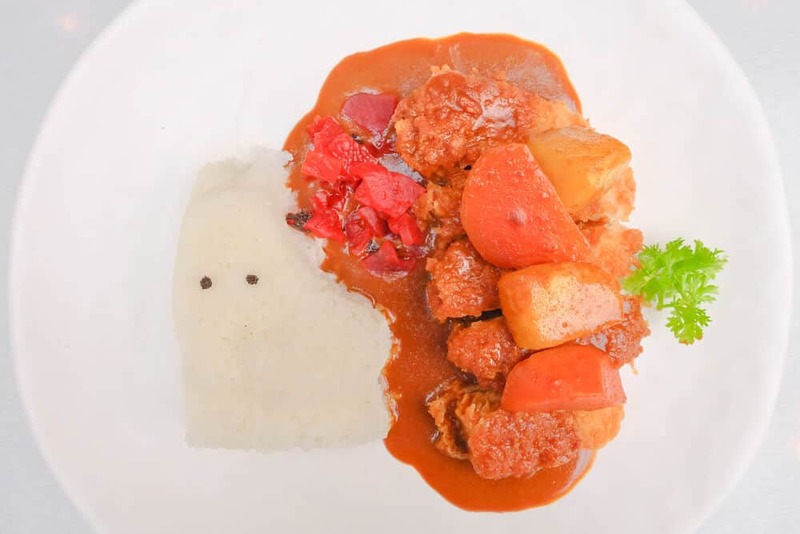 For example, curry served with rice shaped into a Moomin head, or latte art with characters from the books. The breakfast menu includes Moomin shaped waffles. Several of the meals and drinks come with Moomin figurines and special edition cups. There are items you can order and keep as a souvenir. Toriton is a conveyor belt sushi restaurant. It’s usually recognizable by the long lines outside. Fortunately, the conveyor belt keeps sushi — and people — moving and you shouldn’t have too long of a wait. Give your name to the staff and indicate whether you want to sit at the counter or a table. Counter seats give you a better view of the chefs at work. You’ll gasp at the speed with which they mold the rice into the desired shape. Table seats allow for easier conversation between groups of friends. 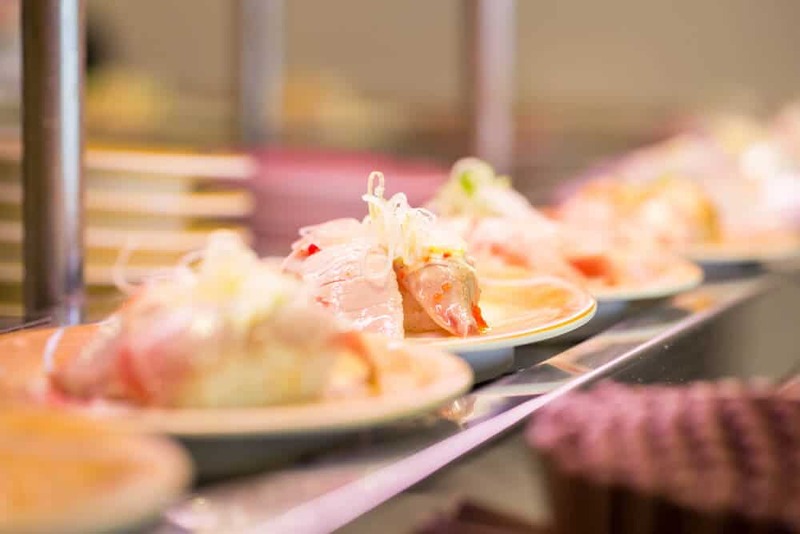 You can order a specific dish, or wait for something appetizing to come around on the conveyor belt. An English menu is available. The color of the plate indicates the price of the sushi, so you can enjoy a tasty meal without overspending. Want an upmarket dining experience without leaving Solamachi? Rigoletto serves Spanish and Italian food. The restaurant is on the second floor of the Solamachi Tower Yard. Inexpensive lunch sets allow you to sample the best of the menu without breaking the bank. 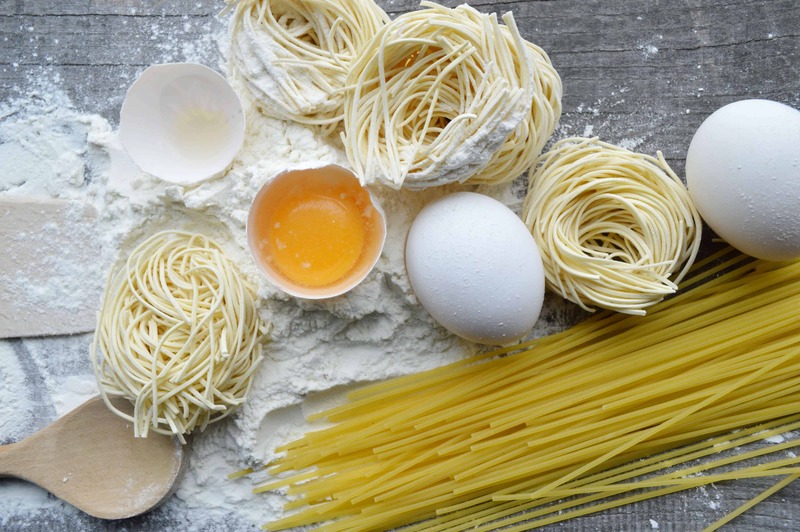 If you’re after an indulgent dinner, order off their extensive menu. *Note: Children who haven’t entered school yet (are age 6) are welcome only between 11:00am -7:00pm on weekdays. The Solamachi complex has over three hundred shops. They sell everything from luxury goods by international designers to Japanese brand names. You’ll find quirky independent stores and up and coming fashion labels. They have services for foreign shoppers. These include currency exchange and free Wi-Fi. They have a floor devoted to Japanese goods suitable for souvenirs. Branches of this Japanese clothing store are everywhere, and with good reason. Uniqlo offers good quality at affordable prices. They have a large range of sizes, from extra small to extra large. More sizes are available through their website. The Heat Tech leggings and undershirt keep you warm in winter. An Airism singlet will help keep you cool and sweat-free in summer. Uniqlo stores also carry Japanese themed t-shirts appealing to a Western market. They make excellent souvenirs. Loft is the place to go for cute stationery you could only find in Japan. In addition to pens, notebooks, and stickers, Loft also carries lifestyle goods. Solamachi’s fourth floor is a souvenir paradise. 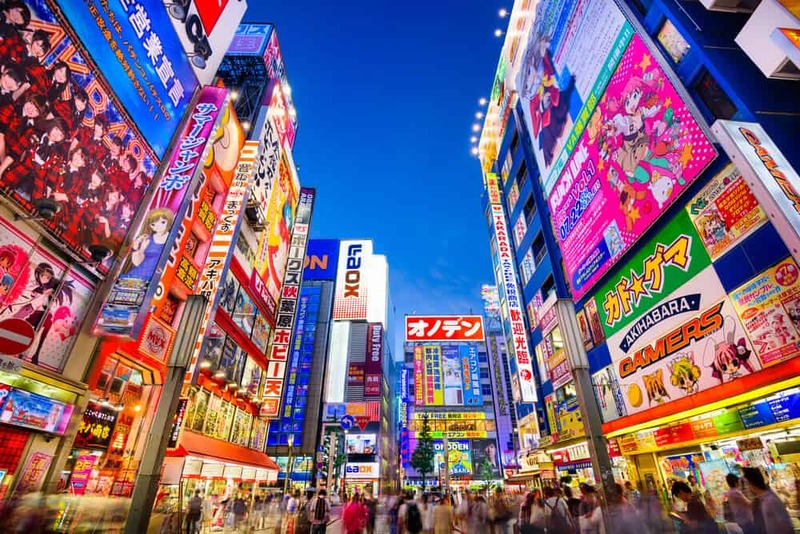 It stocks a broad range of Japanese goods, any of which would make a perfect gift. 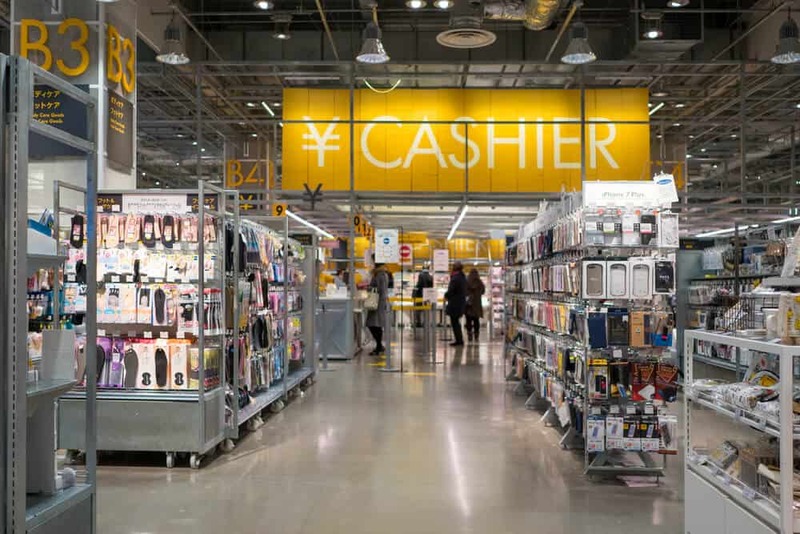 The 40 stores include everything from a Hello Kitty store, to Nanoblocks, to Mamegen — a store selling snacks made from beans. 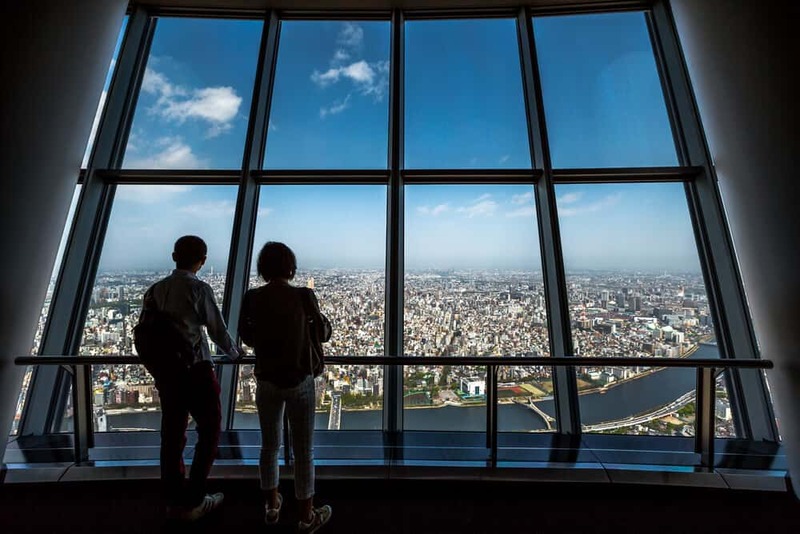 On a fine day, the Tokyo Skytree offers incomparable views. On a cloudy day, the aquarium offers an escape to an underwater world. Even if you’re not shopping, the unique goods in Solamachi’s quirkier stores offer a fascinating glimpse into modern Japanese culture. Tokyo Skytree and the Solamachi complex are close to two stations. The Tokyo Skytree Station is the closest station to the Skytree. It’s served by the Tobu Skytree Line, which links with Asakusa. 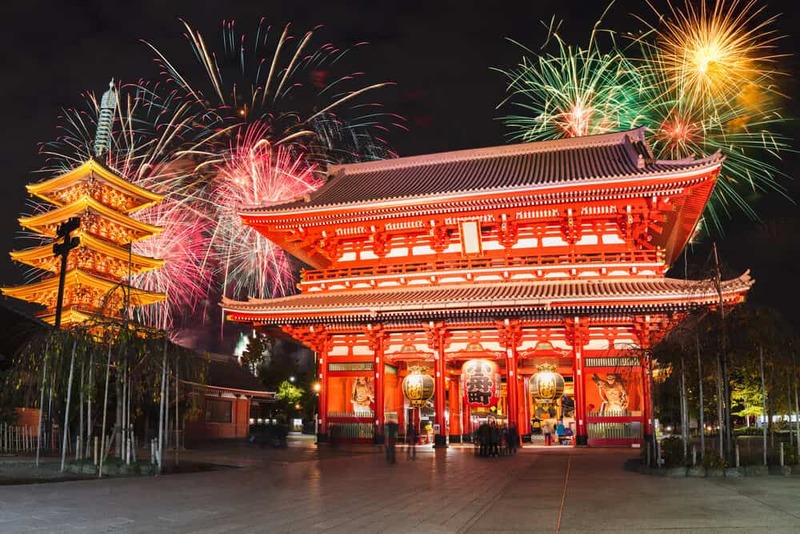 From Asakusa to Tokyo Skytree Station takes 3 minutes and costs 150 yen. Oshiage Station is a 5-minute walk from the Skytree. It’s served by the Tokyo Metro Hanzomon line, the Toei Asakusa Line, and the Narita Sky Access Keisei Line. 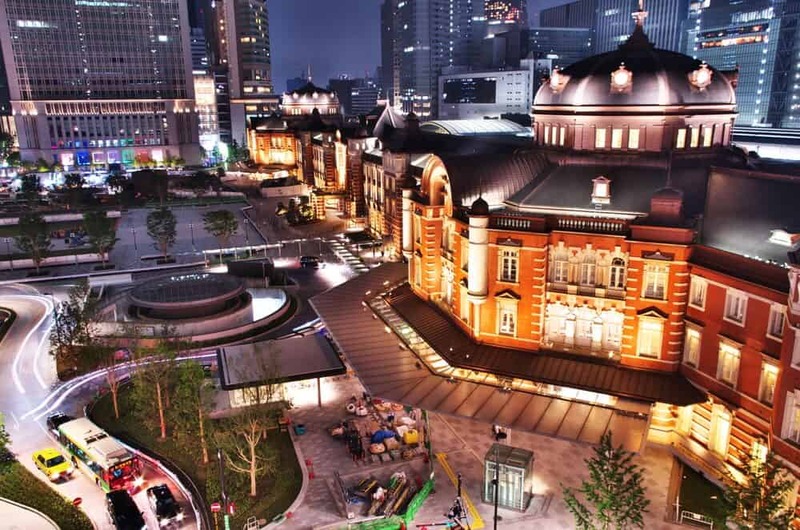 To get to Tokyo Skytree from Tokyo Station, take the Tokyo Metro Marunouchi Line. Head towards Ikebukuro. Change at Otemachi for the Hanzomon Line towards Kuki. Get off at Oshiage station. 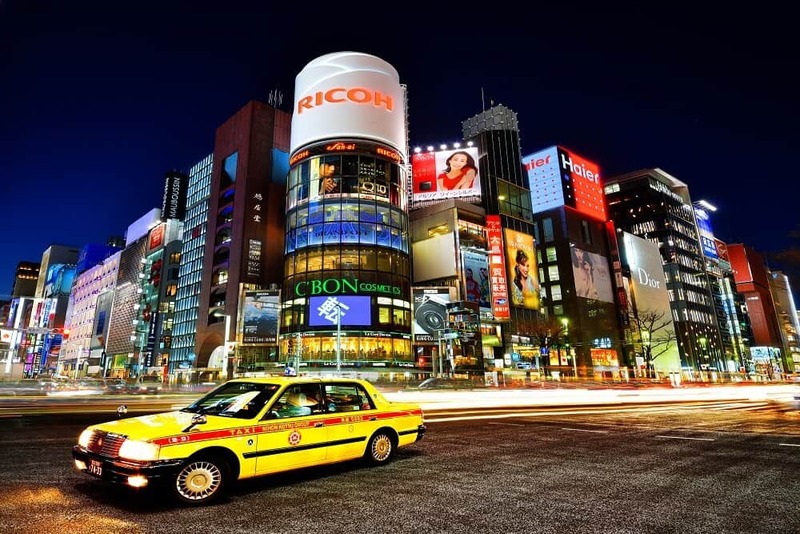 The trip takes eighteen minutes and costs 200 yen. The Skytree’s view of Tokyo is amazing day or night. Get the best of both worlds by timing your visit for the afternoon. Admire the view of Mt. Fuji, then head to the cafe or restaurant for a drink or snack and wait for Tokyo’s lights to come out. Enjoy the difference. Would you like to tell us about it? Did we miss anything we should include in the next article? Tell us about it in the comments. Don’t forget to share this with your friends. 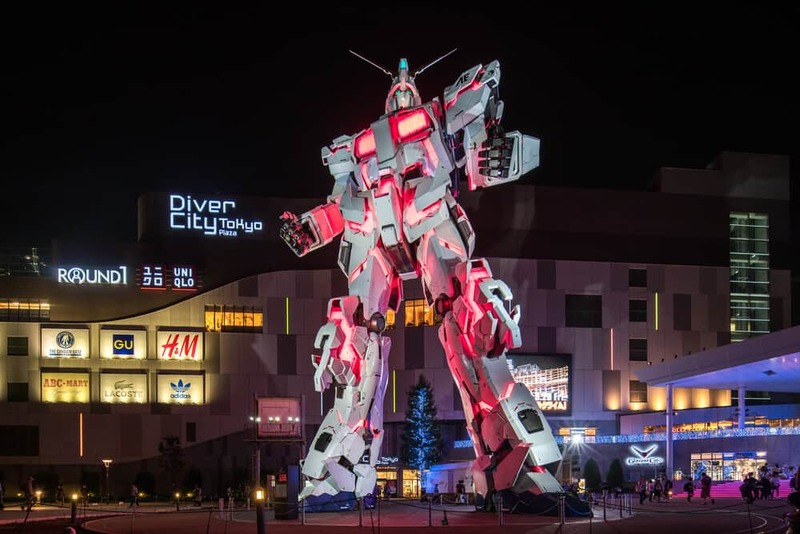 Are you planning to go to the Skytree or the Solamachi Complex? Let us know. We’d love to hear what you want to see the most.